In November 2015, then Governor Terry McAuliffe designated November as Virginia Oyster Month and officially launched the Virginia Oyster Trail. The trail is comprised of eight distinct regions — based on location, coastal habitats and salinity levels — showcasing the diversity of the state’s waterways. Though Virginia Oyster Month is intended to bring attention to the Commonwealth’s booming aquaculture industry in November, oysters can be consumed year round. Nevermind that silly yarn about only consuming oysters in months with an ‘r’! Virginia is the largest producer of hatchery-based farmed oysters on the East Coast. Local watermen and women cultivated and sold more than 40 million last year. Like the French concept of terroir used to describe a wine’s sense of place, merroir is used to describe oyster’s expression of place. Water salinity, rainfall, surrounding marsh and algae impact the flavor of oysters. Dry rosés, sparkling wines, Chardonnay and other white wines aged in stainless steel tend to pair best with the briny oysters cultivated on the seaside and in the lower Chesapeake Bay, regions 1, 3, 6 and 7. White wines aged in oak tend to pair better with sweeter oysters like those cultivated in the waters of the upper Bay rivers and around Tangier Island, regions 4 and 8. Higher acid whites like Albarino, Petit Manseng, and Sauvignon Blanc pair nicely with oysters cultivated in waters with lower salinity like those from the upper Chesapeake Bay, regions 2, 4 and 5. Best known as the aromatic white grape from Rías Baixas in the Galicia region of northwestern Spain, Albariño is growing in popularity throughout Virginia. The aromatically charming Albariño is one of the most promising newer grapes in Virginia. Harmon and her team farm 1.5 acres of Albariño planted at Blenheim’s estate vineyard in Charlottesville. The winery is owned by musician Dave Matthews but winemaker Kirsty Harmon is the rockstar at Blenheim. She was born in the Netherlands and grew up in Charlottesville; she got her start with local wine pioneer Gabriele Rausse and earned a degree from the storied viticulture program at UC Davis. Harmon took over winemaking at Blenheim ten vintages ago and today is one of the most accomplished winemakers in the Commonwealth. Full of tart green apples, grapefruit, white peach with a little saline, this Albariño is delicious and vibrant. Pair this wine with the mild oysters cultivated in the waters of the Rappahannock River where salinity levels range from 16-18 parts per million (ppm) for a zingy contrast. Based in Topping, on Virginia’s Northern Neck, cousins Ryan and Travis Croxton founded Rappahannock River Oyster Company in 2001, reviving the company started by their great-grandfather in 1899. Today, Rappahannock is one of the largest commercial oyster producers on the east coast. Situated in the scenic town of Afton, Cardinal Point was founded by Paul and Ruth Gorman in 1985. The Gorman’s love of wine has roots in the Nahe region of Germany where they lived while Paul served in the U.S. Army. Following Paul’s retirement, the Gorman family moved back to their farm in Afton and began the work of establishing a vineyard and winery. Today, Paul and Ruth’s youngest son Tim is the vineyard manager and winemaker while daughter Sarah operates the business side of the winery. 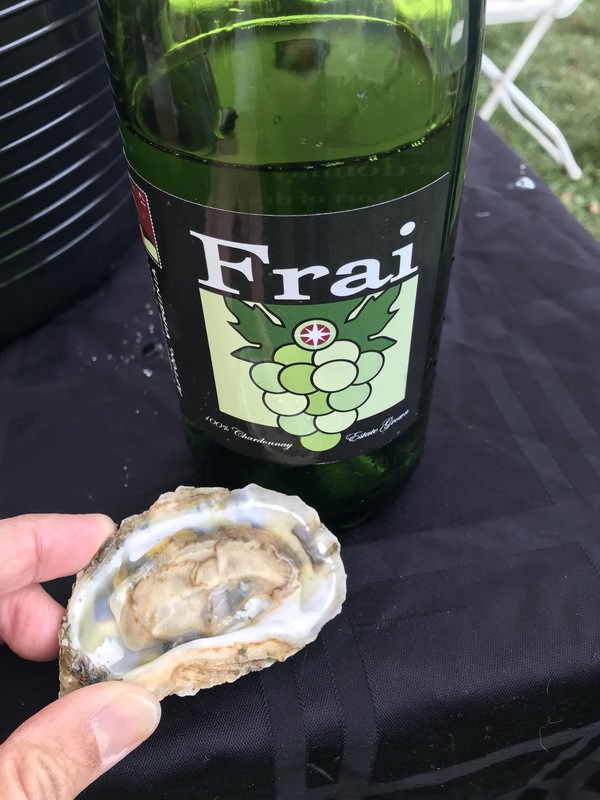 Fresh and full of sweet pear and baked apples, Cardinal Point Frai Chardonnay pairs perfectly with sweet and creamy Fat ‘n Happy oysters cultivated in Little Wicomico River, which stretches along the Virginia-Maryland border. Located in region 4 of the oyster trail, salinity in the Little Wicomico River ranges from 10-17 ppm. Founded in 2009 by third-generation waterman Danny Crabbe, Fat ‘n Happy Oyster Company is based in Heathsville, about 90 miles east-northeast of Richmond. 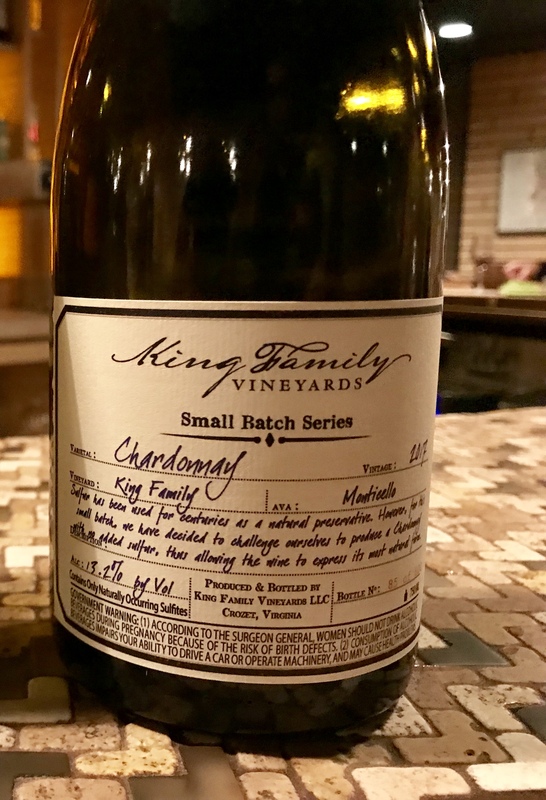 As much as any Virginia winemaker, Matthieu Finot is dialed in to making exceptional wines across the entire King Family lineup. Finot grew up in the storied wine region of Croze-Hermitage in France’s Rhone Valley and studied viticulture and oenology in Burgundy. He came to Virginia in 2003 and four years later became the winemaker at Crozet-based King Family Vineyards. The Small Batch Series, made is (very) small batches, is Finot’s way of expressing specific techniques or vineyard sites. The Chardonnay is one of the best in Virginia. Just 46 cases produced. The baked apple and waxy stone fruit texture pair nicely with the mild Rappahannock River Oysters. From one of the most exciting wineries in Virginia, this sparkling wine is made from 100% Chardonel grapes grown in the Rosemont estate vineyard in southern part of the state. It’s made using the Charmat method (aka Tank Method) in which the secondary fermentation takes place in stainless steel tanks. 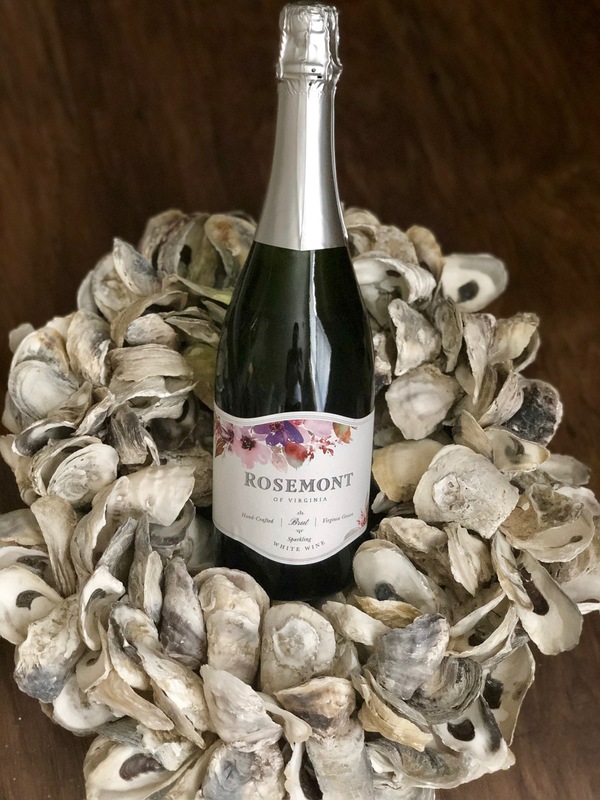 The result is a fresh and lively sparkling wine with quince and green apple flavors and zingy acidity that pairs well with a wide-range of local oysters. We enjoyed a bottle paired with oysters cultivated in the Lynnhaven River in Virginia Beach by third-generation waterman Chris Ludford, who grew up on local waterways. A fireboat captain for the City of Virginia Beach Fire Department by day, oyster farming is a labor of love and legacy for Ludford. This is repeat suggested pairing. 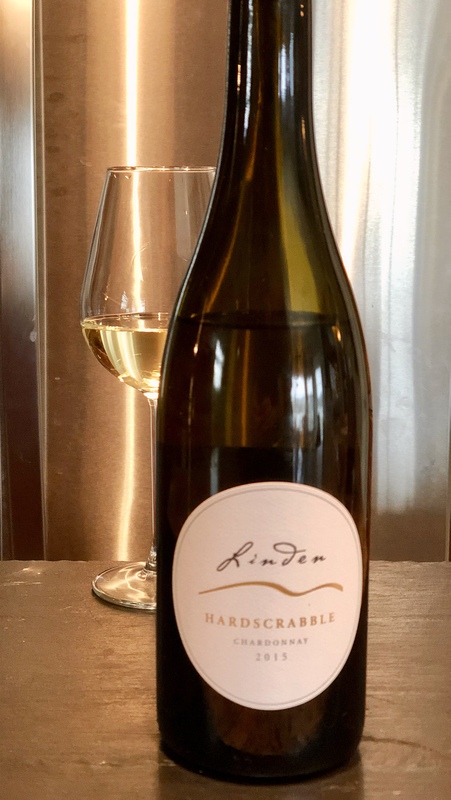 Located about 65 miles west of Washington, DC, Linden Vineyards estate vineyard, Hardscrabble, is one of the most distinctive in the Commonwealth. Virginia wine pioneer Jim Law purchased the property in 1983 and planted the Hardscrabble vineyard in 1985. 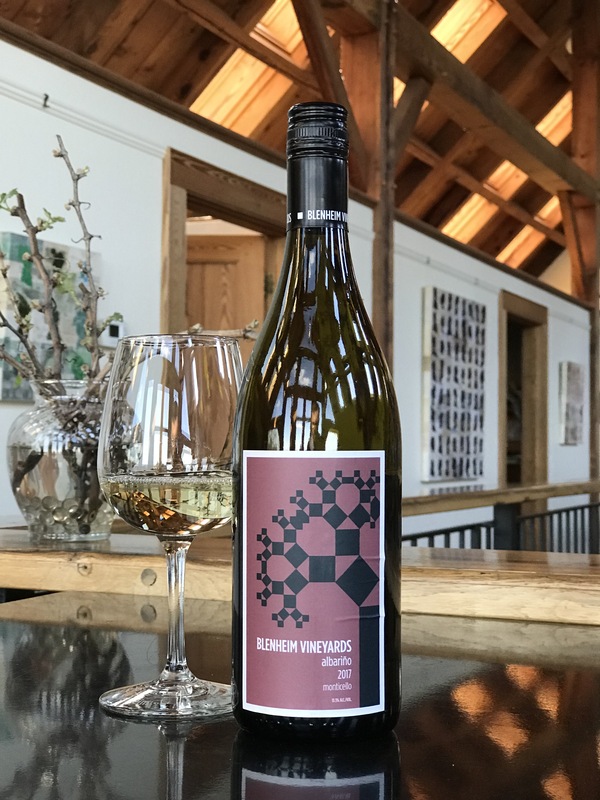 Rich, textured, superbly balanced, offering notes of melon, light citrus, pear, and chalk, Hardscrabble Chardonnay pairs great with the sweet and creamy oysters cultivated in the mild waters around Tangier Island in the upper Chesapeake Bay. Oysters cultivated in local waterways paired with wines made from grapes grown in surrounding soils may be Virginia’s truest wine and food pairing. Get out on the Virginia oyster and wine trails all year round! Good to see at least one bottle of bubbles in there!